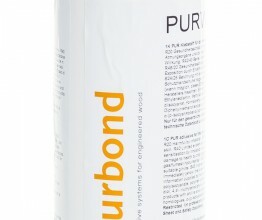 Purweld 1202 is a fast curing one-component PUR adhesive for achieving high bond strength in the general assembly of wooden structures. General assembly applications, laminated solid wood parquet, sandwich panels and wooden structures for outdoor usage. Good adhesion on many exotic hardwoods, softwoods and building boards/panels. Weather-proof bonding due to high temperature and water/moisture resistance; complies to JAS Plywood Type 2 performance. Heat resistance up to 120 ºC. Good aesthetic value due to transparent glue line.